DAT: ASME concert, 30 June 1995, Odeon. ASME concert, 30 June 1995, Odeon. Sales Availability: This item is not commercially available from the Australian Music Centre. We regret that we cannot offer it for sale. This item is not commercially available from the Australian Music Centre. We regret that we cannot offer it for sale. Contents note: Fanfare for 'Honing the Craft' / Karlin Love -- Welcome by Gary McPherson (ASME Nat. Vice-President) and Joan Livermore (AMSE Nat. President) -- Chants / Elena Kats-Chernin -- Tarantella and Siciliano / Amy Bennett -- Februar sonate / Andrew Helberg -- Elegy / Simon Reade -- Faraway / Lauren Armishaw -- Composition for string orchestra / Paul Wang -- Thoughts / Bryce Gilhome -- Somnolence / Monica Grosman -- Composition for orchestra and solo trombone / Stuart George James -- Envy / Ange Zucco -- Overture to Hero and Claudio / Leah Curtis. Performers: Brian Brown (Love) ; Karlin Love (Love, clarinet: Reade) ; Suzanne Dent (Love) ; Monte Mumford (Love, conductor: Kats-Chernin) ; Marc Mumford (Love) ; Bruce Innocent (Love) ; University of Tasmania (Launceston Campus) Concert band (Kats-Chernin), Amy Bennett (piano: Bennett) ; Susan Gosling (violin: Bennett), Anna Spinaze (cello: Bennett) ; Fiona Perrin (flute: Helberg) ; Vanessa Sharman (piano: Helberg) ; Margaret Barrett (piano: Reade) ; Hutchins Senior School Choir (Armishaw) ; Fahan Senior School Choir (Armishaw) ; Peter Warren (piano: Armishaw) ; Tasmanian Symphony Orchestra (Wang, Gilhome, Grosman, James, Zucco, Curtis) ; St Patrick's College Choir, Launceston (Gilhome) ; Launceston Church Grammar School Choir (Gilhome) ; Barbara Jane Gilby (violin: Grosman) ; Les Johnston (trombone: James) ; Brett Kelly (conductor: Wang, Gilhome, Grosman, James, Zucco, Curtis). Capture session: Recorded at concert at ABC Odeon, Hobart, June 30, 1995. Recording of Young Composers' Concert held for the ASME Xth National, Conference, 'Honing the Craft', Hobart, 1995. 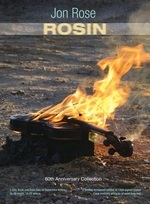 CD: Rosin : 60th Anniversary Collection / Jon Rose. 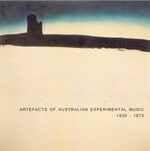 CD: Artefacts of Australian experimental music, 1930 - 1973.